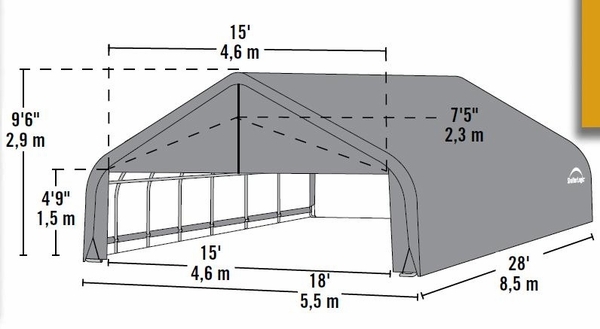 This portable shelter features the peak design. It is perfect for protecting, securing and storing your equipment, vehicles, machinery, and other supplies and valuable. The cover is a tough, UV treated polyethylene fiber. This woven fiber cover is commercial grade, 9 ounces. The steel from features a baked on powder coating called DuPont thermoset. This coating prevents rust and corrosion. 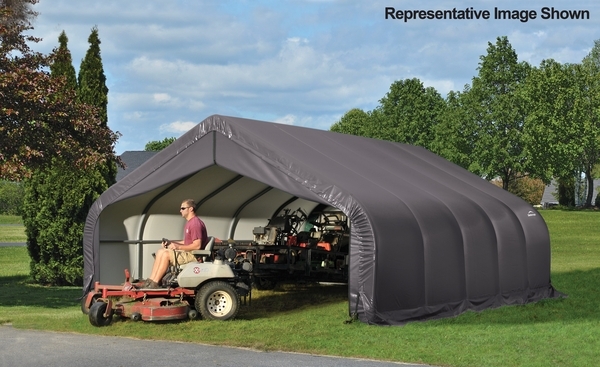 This shelter measures 18 feet wide by 28 feet long by 10 feet high and has a one year warranty.